Sounds great. I'll be there around 5. I'm over at Giordana's right now. They are so busy they are having people order before they can even seat them. That is because the pizza takes a while.I am headed out in about 25 minutes. Be there about 5. What about the Ram...or was that already ruled out? I am here. Booked a table for GenCon Rearguard. Headed there now. Captain America shirt. How many of us can fit? Where is everyone sitting at Giordano's? Do you guys plan on playing some games afterwards? 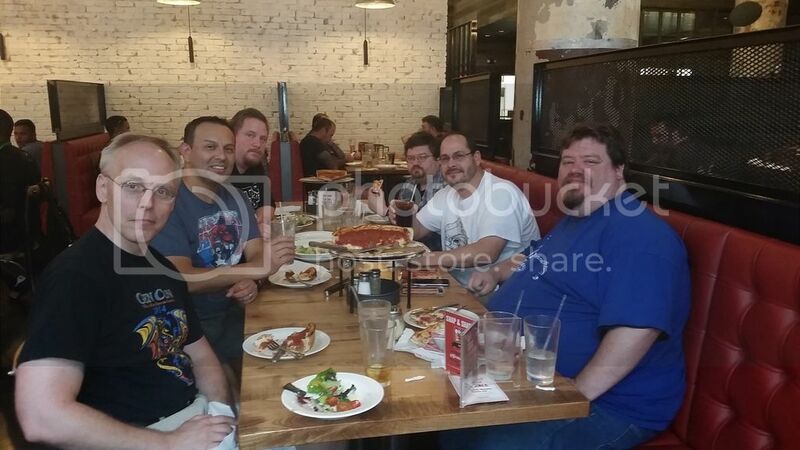 Indeed, It was good to meet you all at the 1st annual Gen Con Rear guard gathering. Great fun!!! Look forward to next year!! !